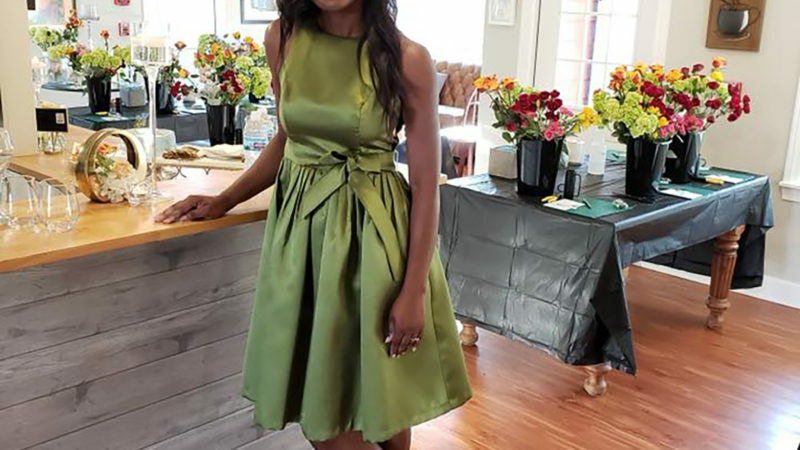 The latest fun boutique spring fashion finds hit the runway recently at LUXE wearhouse in Kildeer, where Marcy Sparr and Annie Lang hosted a pair of standing-room-only spring fashion shows. 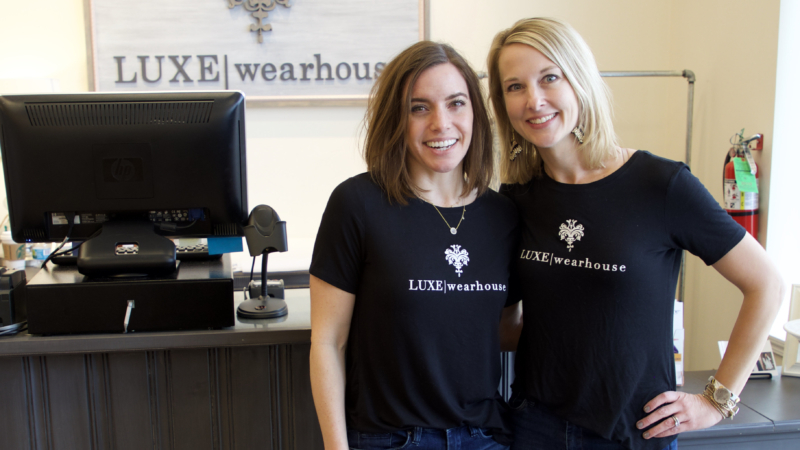 To be the first in the know about new LUXE merchandise, upcoming events and special promations, visit LUXEwearhouse.com and become a LUXE wearhouse Insider. 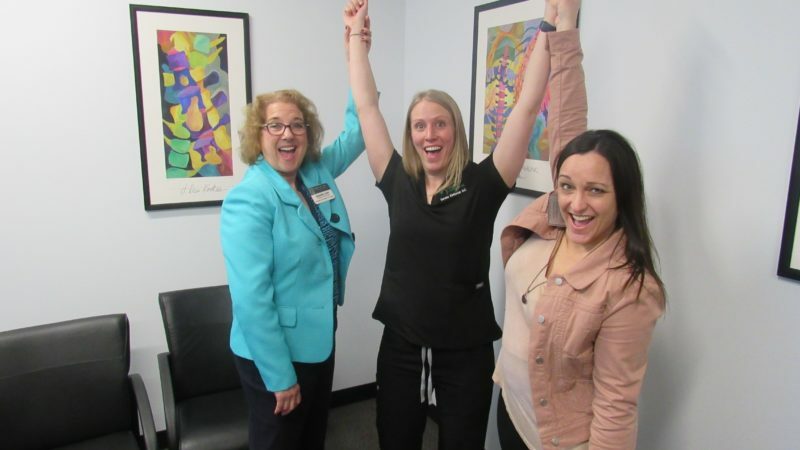 After a long, arduous process building her new clinic, Dr. Serena Kleinstub welcomed scores of supporters to the Grand Opening of Deer Park Chiropractic (21805 W. Field Parkway). A native Texan, Dr. Kleinstub is a board certified chiropractic physician helping patients recover from sickness, disease and disability without surgery or prescription drugs. When it comes to “bang for your buck” value, few home improvements match the quick results of painting. Whether it is personalizing your new home or refreshing the look of your living space, paint is a great do-it-yourself project. It's a cornucopia of good times these days in SW Lake Co. and neighboring environs! From new business openings, to anniversaries celebrated, to classes attended and skills developed, to the promise of getting out and enjoying winter while we've got it, our cameras are out there capturing all this local goodness to share with you. There’s a range of beer and wine, plus sunset views over the lake, at the new Pavilion at Breezewald Park in Lake Zurich. Built by the Public Works Department, and operated by The Scoreboard Bar & Grill across the street, Mayor Tom Poyton says the pavilion is an amenity that will bring folks downtown. 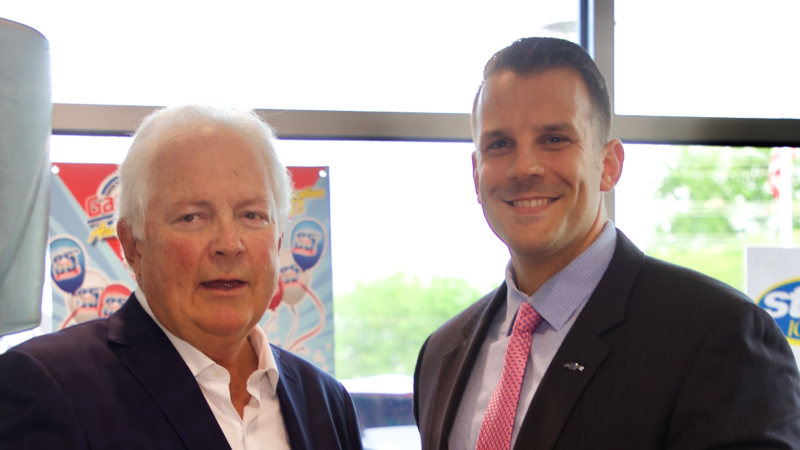 Gary Lang was awarded the prestigious Mark of Excellence award from Chevrolet as Gary Lang Chevrolet Buick celebrated their 35th Anniversary in business with a festive, multi-chamber event at their dealership last month. Many attendees including employees, friends, and chamber of commerce members won a variety of giveaways, and Lang thanked his team for a great 35 years. 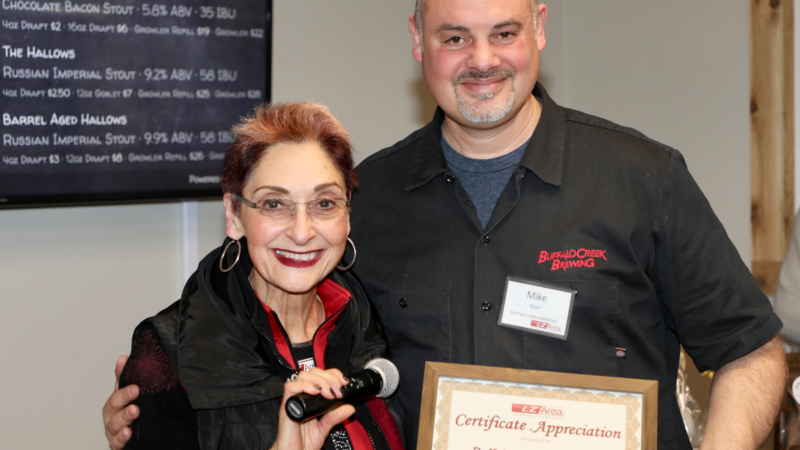 Those who attended Buffalo Creek Brewery's recent Lake Zurich Chamber of Commerce "After Hours" event enjoyed fine brews by owner Mike Marr in their expansive Bavarian-style taproom and a range of delicious delights from other local vendors. 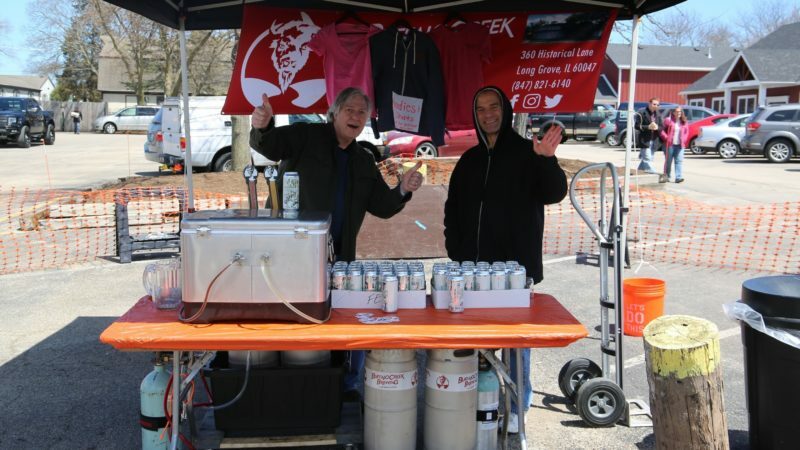 Many looked forward to enjoying Buffalo Creek's outdoor beergarden as summer warmth approaches. 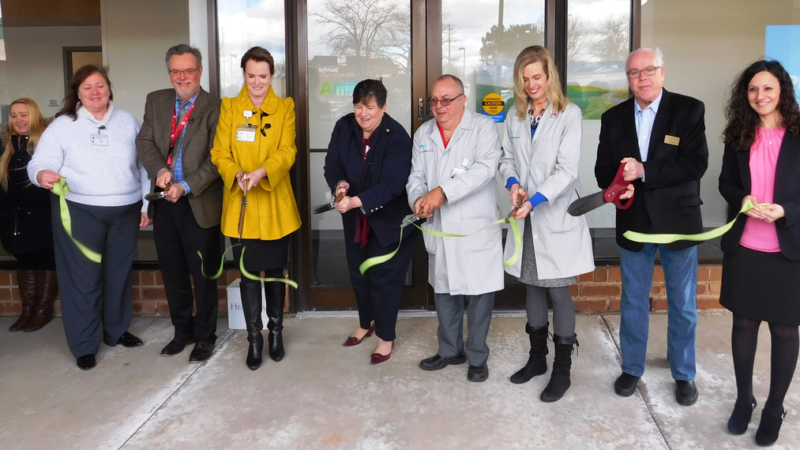 AMITA Health Group officially opened its new ambulatory care center (on Rand Road north of Jewel) in March with a Ribbon Cutting by the Lake Zurich Chamber and village officials. Under the direction of long-time Lake Zurich physician, Stewart Segal, M.D., the center started treating patients earlier this year. "Wauconda Forever!" The recent WACC-sponsored Wauconda Business & Community EXPO kept things lively, celebrating community with over 65 businesses, charities and informational booths, craft show, live entertainment, career fair, health fair, and live exhibit of animals for kids and parents alike to pet, get close to, and take selfies with. 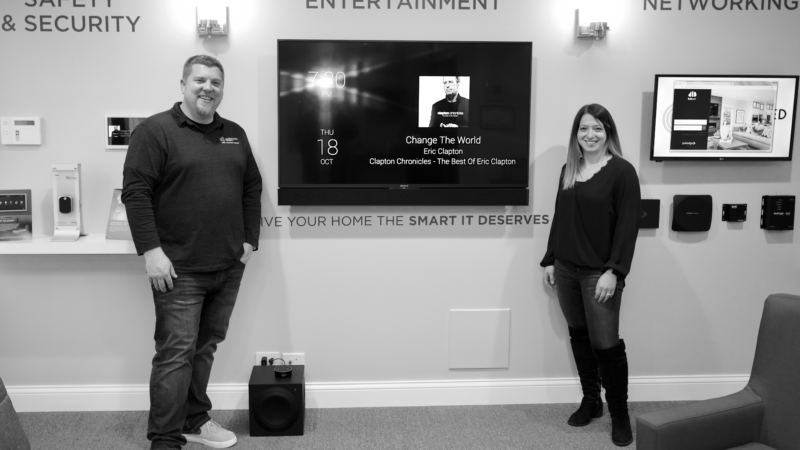 HarborChase opened its newest senior care community in Long Grove in January with a gala affair themed "A Night To Remember: Celebration of Classic Broadway Musicals" that showcased their new facility and delicious cuisine. 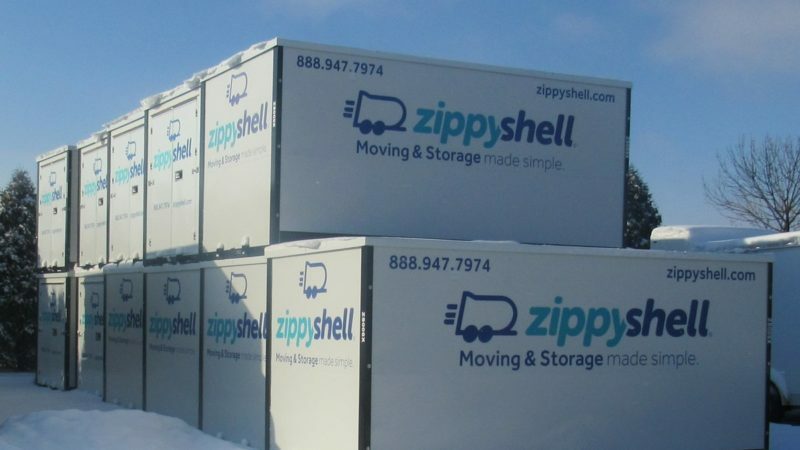 On a snowy day Zippy Shell, a new concept in moving and storage based in Lake Zurich, drew a huge crowd for its Grand Opening. 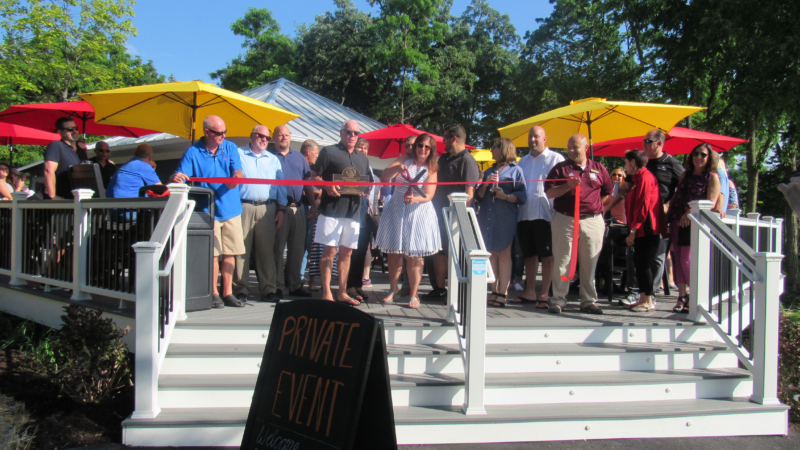 Owner Ken Wasko and Business Development Director Jake Silker cut a ribbon with Gale Cohen-DeMarco, LZACC President, and showed guests around a spacious new facility. 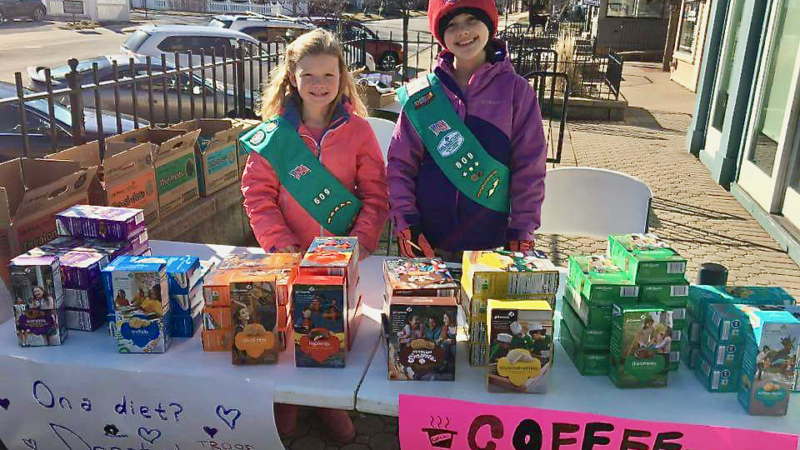 Wauconda the New Chocolate Town? The aroma of roasting cocoa beans has been wafting down Main Street in Wauconda lately, thanks to the Puna Chocolate Co., a farm-to-table provider that grows its own cacao on the Big Island of Hawaii and sells chocolate online at punachocolate.com as well as through its new Wauconda store. The Wauconda Turkey Trot again attracted huge crowds to Main Street. Sponsored by STAR Charities, a record-breaking $21,370 was raised in support of the local Food Pantry. 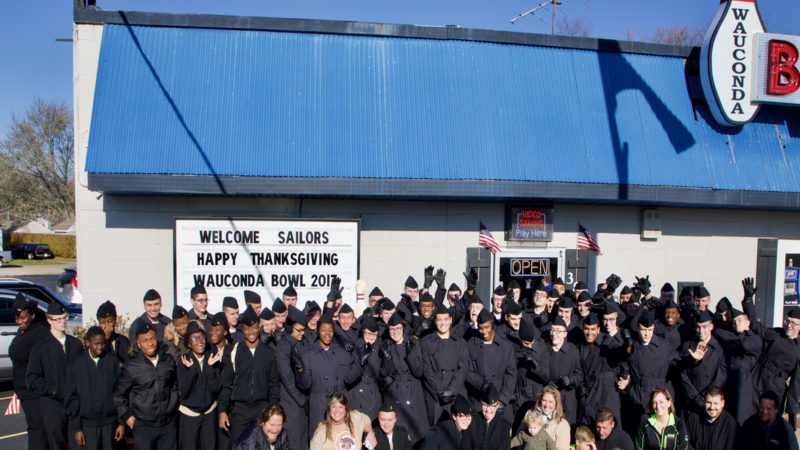 Local businesses generously helped provide a full day of activities to feed, host, and entertain young military recruits for the Thanksgiving Holiday. 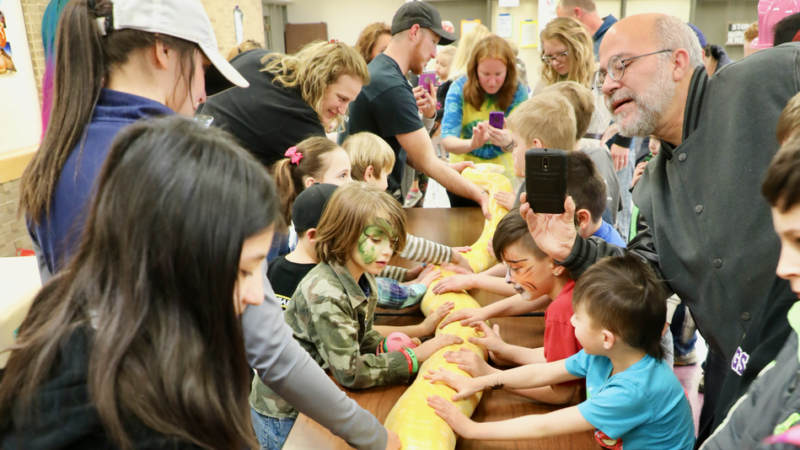 Mathnasium opened its new educational facility in Wauconda last month celebrated by the ribbon-cutting fanfare of the Wauconda Chamber of Commerce and a supportive crowd of its members. Mathnasium is currently enrolling students for its first classes; for more information visit http://www.mathnasium.com/wauconda or call 224.993.0526. 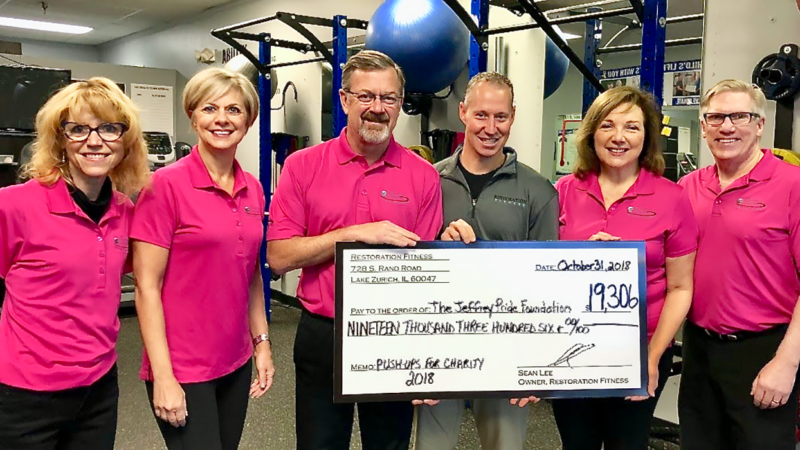 Resoration Fitness in Lake Zurich at its recent Client Appreciation Party held a "Pushups for Charity" event that raised more than $10,000 for the Jeffrey Pride Foundation, a Barrington charity that raises money for pediatric cancer research. Owner Sean Lee and his team helped pumped up the energy at the event. Morkes Chocolates recently opened its third location in Long Grove, at the site formerly occupied by the Long Grove Confectionery Company. Owner Rhonda Morkes Dehn is excited about the local response to having a new chocolate maker in town. Brian Thomson started keeping bees as a 12 year old in Michigan. At one point he had 10 hives producing 1,000 pounds of honey each year. Now, he's started a bee collective, Honey Lake Bee Co., helping area families start their own hives. To learn more, visit honeylakebeecompany.com. A cross-section of earlybird Lake Zurich Chamber members enjoyed an informal breakfast gathering at Co-Optim in Deer Park. In addition to enjoying a wonderful breakfast spread, with lots of healthy options and strong coffee, the crowd shared insights, made new business connections and started the day right. SW Lake Lifestyle was a proud sponsor of the “Advance Your Tee/Atomic Drive” 6th hole at the sold-out, 33rd Annual Lake Zurich Area Chamber’s Annual Golf Outing at Biltmore Country Club. The intrepid golfers kept a stiff upper lip as they braved stiff gusting winds all afternoon. 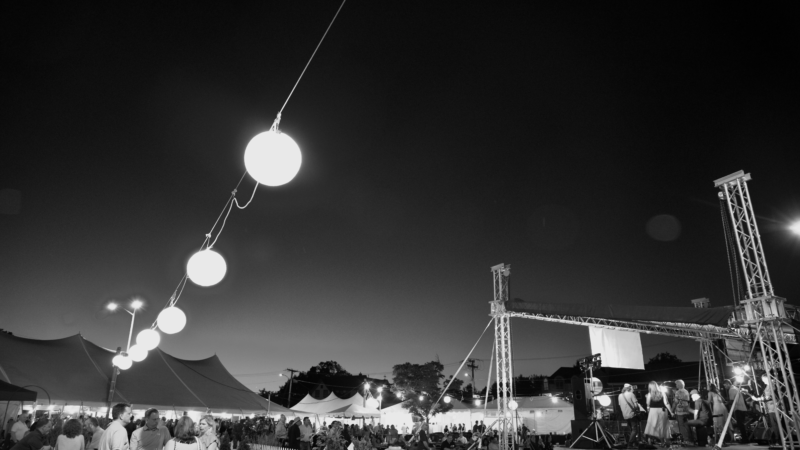 It was a full house under the stars at Uncork Barrington in July, with attendees enjoying over 50 wine tasting options and a wide variety of delicious appetizers by many local vendors. 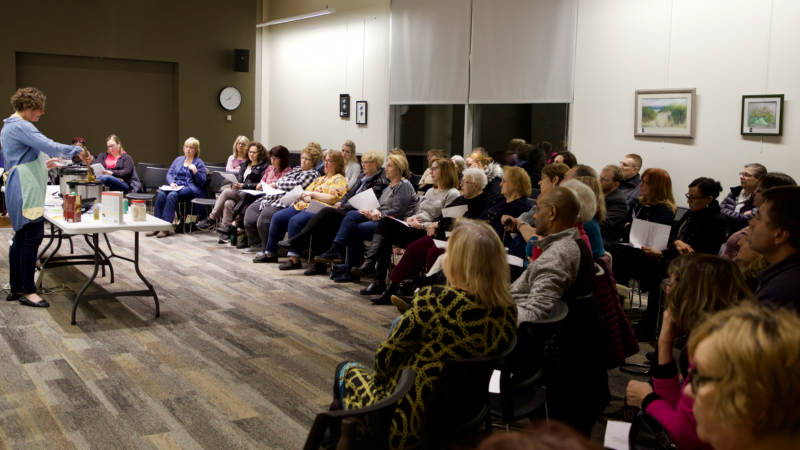 Co-hosted by the BACC, Barrington Area Council on Aging, and Barrington Village Association, it benefits multiple local charities. 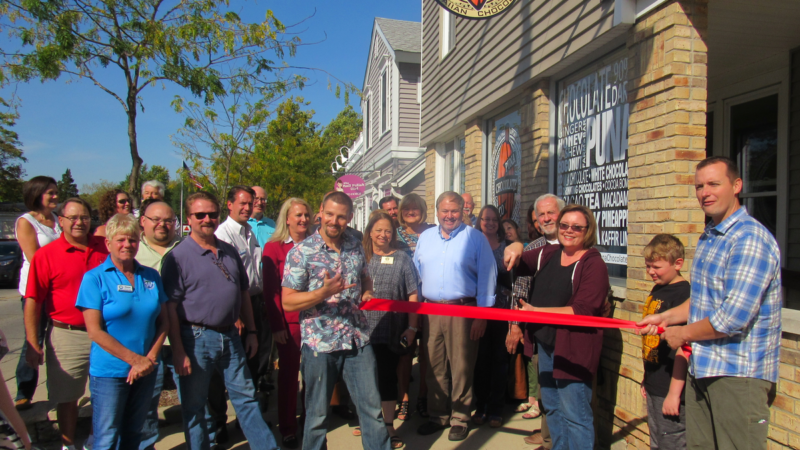 The Wauconda Chamber recently held a triple-header of Ribbon Cuttings celebrating three Main Street businesses. 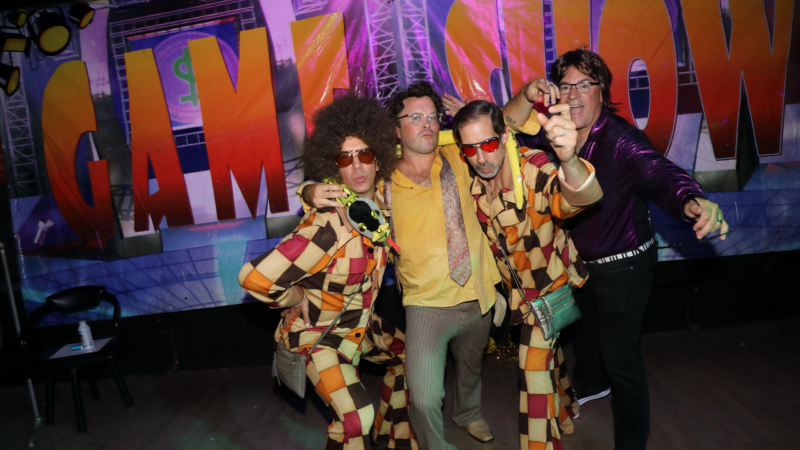 An enthusiastic entourage of local Chamber members, customers, and employees from each business brought their energy and support to each celebration. 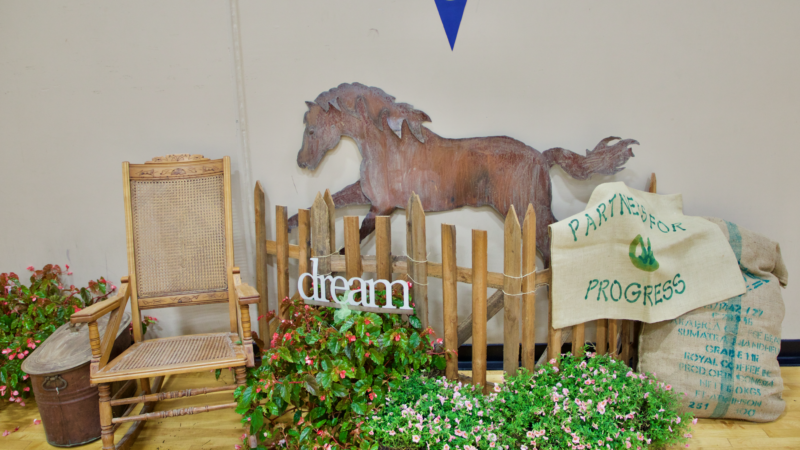 A Million Dreams raises money for Make-A-Wish® Illinois by putting on an elaborate annual Masquerade Ball. Since its inception 5 years ago, they have generated $64,000 towards granting wishes and in 2017 raised another 16,000. These wishes help bring Hope, Strength and Joy to children with life-threatening medical conditions. 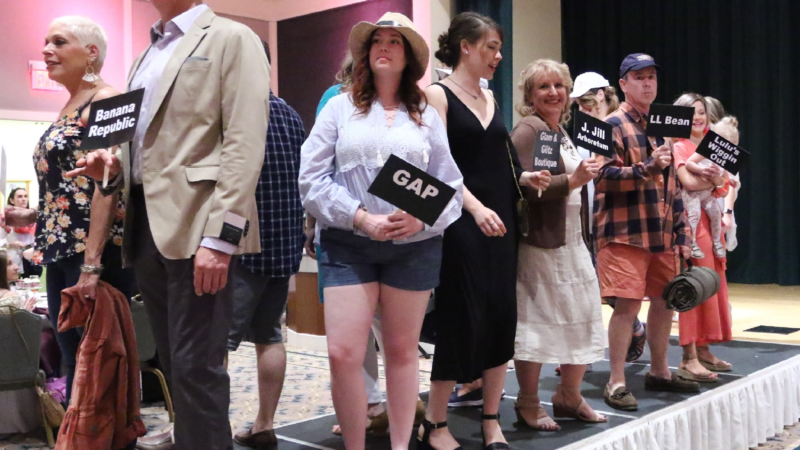 SW Lake was Scholarship Sponsor at the recent BACC 40th Annual Fashion Show and Scholarship Luncheon at Barrington's Biltmore Country Club, where $4000 was awarded to six deserving local students. The scholarship is named after Lauren Brown, fondly-remembered former BACC employee who lost her battle with cancer at age 29. Wauconda Boat and Middleton’s on Main hosted the Leprechaun Plunge, Lake County's largest St. Patrick’s Day celebration, featuring a parade down Main Street led by kilted bagpipers and drums; contests for best costume, limerick, and Irish Toast; and participants plunging into the chill waters of Bangs Lake for local charities. 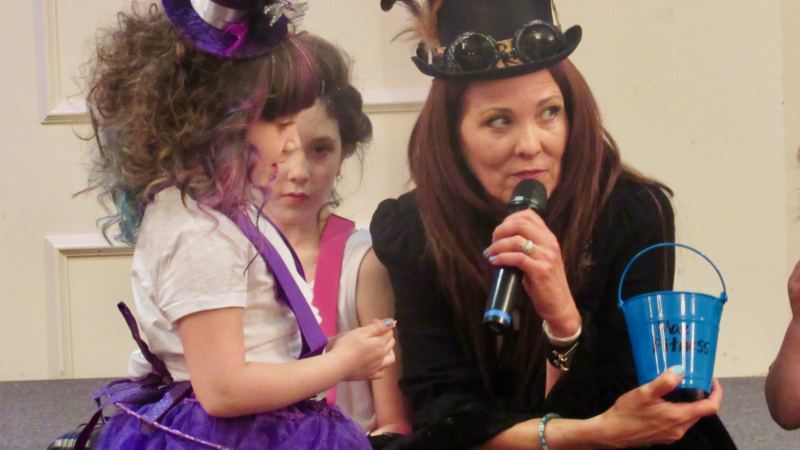 Historic Long Grove Business Association recently held an Egg Hunt in Buffalo Creek Park. 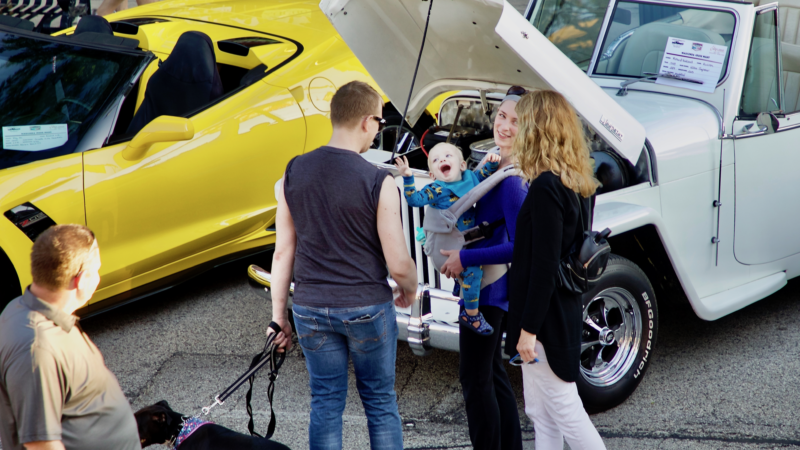 An enthusiastic crowd of children and their parents enjoyed face painting, a petting zoo, DJ, and the Easter Bunny, while hunting for special golden eggs placed throughout downtown with Chocolate Fest tickets enclosed. 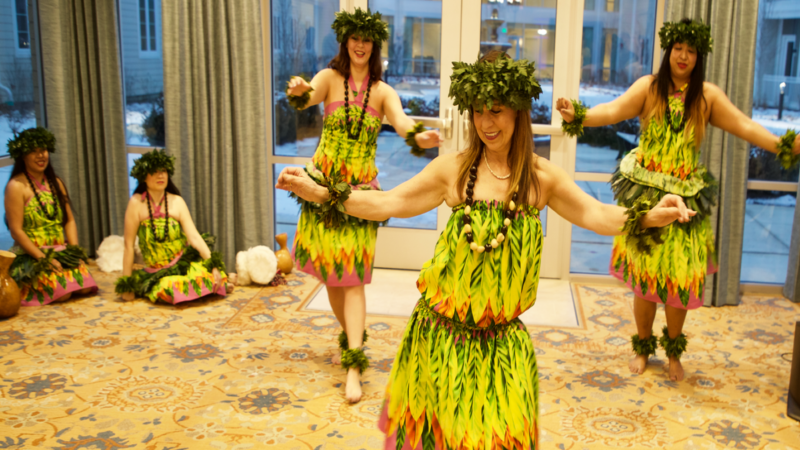 The Caring Women's Connection, a SW Lake County 501c3, recently held an elegant, wedding-themed fundraiser gala in support of women's and children's causes. Jesse & Ria Soto of the new Fred Astaire Dance Studio in Long Grove played the bride and groom for the event. 2016 was a historic comeback year for Long Grove. 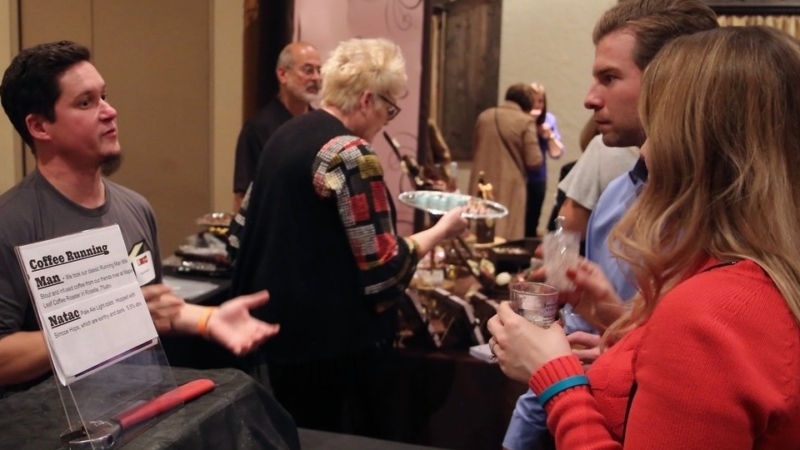 From record-setting attendance numbers at annual events like Chocolate Fest, to unique businesses on the way such as Buffalo Creek Brewery, the Long Grove business community is experiencing a rebirth. Look for our feature on Long Grove's revival in the March issue of SW Lake Lifestyle. Barrington Youth Dance Ensemble performed an elaborate and engaging rendition of The Nutcracker in December, featuring professional guest stars and over 80 student performers. The precise dancing, elegant costumes, and spectacular staging were all perfectly "on point." Wauconda High School’s recent staging of their fall musical, “Les Misérables”, was an inspiring stunner. From its ambitious stagecraft to the rock-solid orchestra, outstanding costumes, smooth scene transitions, and impassioned acting and singing by the student cast, director Scott Metzger and team's production was a delightful evening of local theater. The seventh Chicago-area store for AccuVISION, a chain of eye health and eye wear retailer founded by Dr. James Doherty, hosted a ribbon cutting in Wauconda with the chamber of commerce there. Store Manager Dana Agostinelli pulled out all the stops to showcase the retailer’s collection of fashion eye wear. Business After Hours are great events for members of local chambers in SW Lake County. 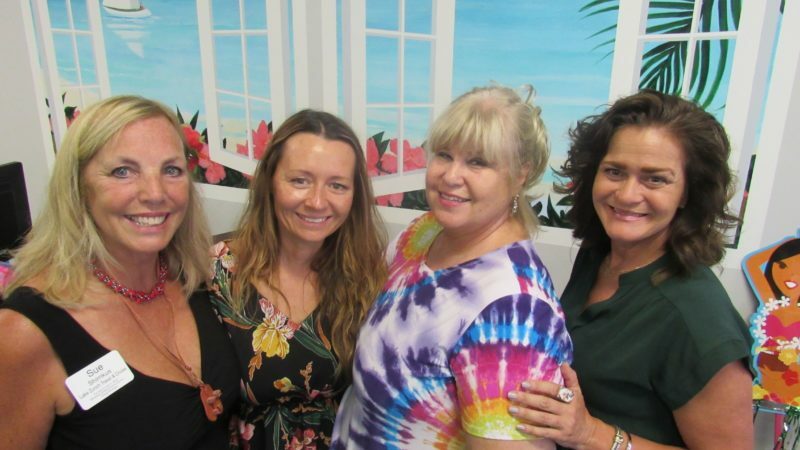 In Wauconda, Threads was a recent sponsor, and the team there, Linda Starkey, owner (4th from right) and Manager Julianna Somers (7th from left) made sure everyone had a great time. The annual Great Barrington Tastefest is of one of the biggest events of the year produced by the Barrington Chamber. 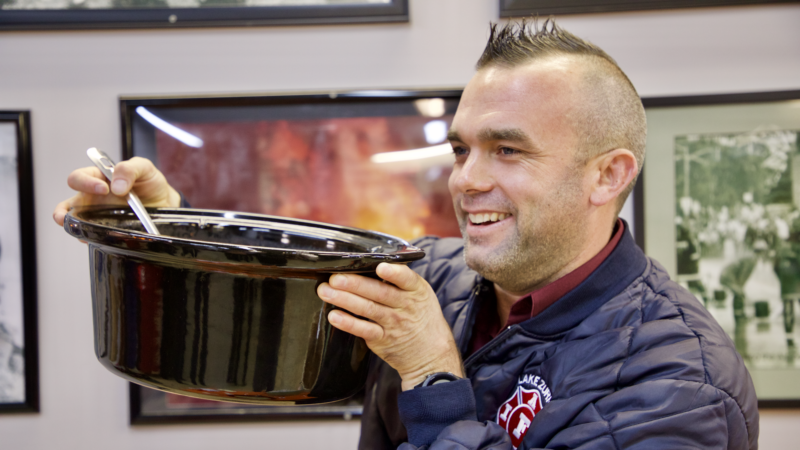 Local businesses exhibit, chefs from restaurants, caterers and senior homes whip up delicious small bites, the band plays on into the night and brewers, distillers and vintners pour sample tastings. 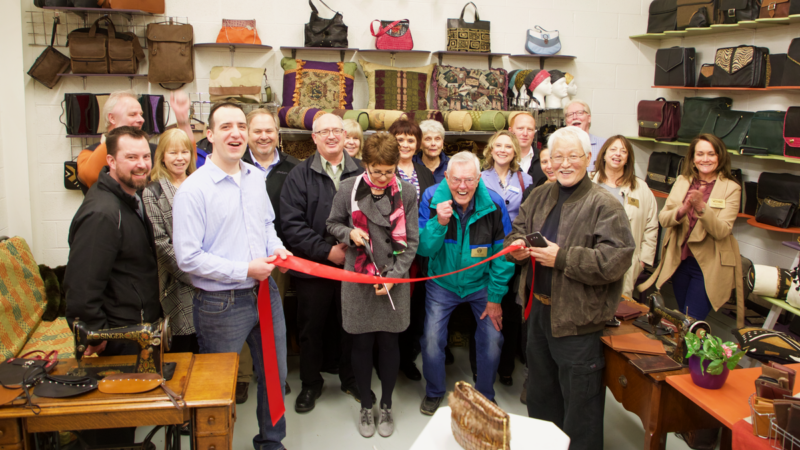 Studio 912 in Crystal Lake debuted a new designer showroom to display their kitchen, bath and woodworking expertise. The firm specializes in using reclaimed wood from the area. Learn more at Studio912Reclaim.com. The Sixth Annual Shane’s Foundation Golf Event at the Bridges of Poplar Creek, sponsored by Timothy Grant Jewelry, raised funds for the not-for-profit dedicated to saving children’s lives. Tim and Lisa Seifert, owners of Timothy Grant Jewelry, started Shane’s Foundation after their 2-year-old son passed away when his bedroom dresser fell on him.